Steyer & Co., CPAs is a full-service CPA firm with a team of experts who help businesses and individuals with a range of tax, accounting, and financial planning needs. Ken joined Steyer & Co., CPAs in 1991 and he became Partner in 1997. His experience has been with small closely held manufacturing and service businesses providing accounting and tax services, management and estate planning and consulting. 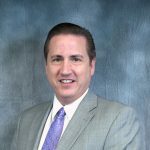 Prior to joining Steyer & Co., CPAs, Ken began his professional career in 1980 at the big six accounting firm Arthur Andersen & Co, Toledo Office in the audit and tax departments. From 1985 to 1987, he worked as the tax manager in the Trust Department of the Society National Bank. From 1987 to 1991, he worked as the Defiance Regional Trust Officer at Society National Bank. Ken earned a Bachelors of Business Administration in Accounting in 1980, and he is both a Certified Public Accountant and a Certified Financial Planner. Currently, Ken is a member of the American Institute of Certified Public Accountants and the Ohio Society of Certified Public Accountants. 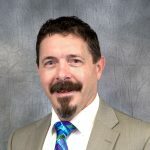 He is involved in the community in a variety of ways, including serving as treasurer of the Defiance County United Way and as a board member of the Defiance Public Library Board. Mike graduated in 1990 from Bowling Green State University with a Bachelor of Business Administration in Accounting. He has been with the firm since 1991 and became Partner in 1997. Much of his experience has been with small closely held manufacturing and service businesses providing accounting and tax services, management and estate planning and consulting. Mike is a member of the American Institute of Certified Public Accountants and the Ohio Society of Certified Public Accountants. He is also a life member of Knights of Columbus and currently serves as the treasurer and a board member for Ohio Women’s Open Treasurer. Past service involvements include serving as the president and trustee of the Defiance Area Foundation and as the treasurer and a board member for the YMCA. 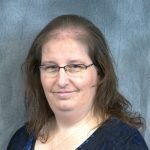 Kristina has worked for Steyer & Co., CPAs since 2005 and has enjoyed her time at the firm and working in the Defiance area. Over the years, she has been able to meet and work in various industries from retail, construction, and food & beverage to not for profits and governmental. 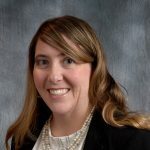 After graduating from Tri-State University (currently Trine University) with a Bachelor of Science in Business Administration in Accounting and Finance in 2003, she started her public accounting career with a firm in Indianapolis. After about a year and a half there, she married and moved back to Northwest Ohio where she joined Steyer & Co. She never imagined that she would have stayed in public accounting for almost 14 years, but she enjoys serving her clients and the variety of work that she is able to do. Kristina is a Certified Public Accountant as well as a QuickBooks ProAdvisor® Program Member. She is a member of the American Institute of Certified Public Accountants and the Ohio Society of Certified Public Accountants and also serves as the treasurer for Dove’s Nest Thrift Shop. 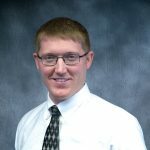 Travis has worked for Steyer & Co., CPAs since graduating from Tri-State University (currently Trine University) with a Bachelor of Science in Business Administration in Accounting and Finance in 2006. Over the years, he has worked in various industries from retail, construction, auto dealerships, transportation, manufacturing, not for profits, and governmental. Travis received a Master of Business Administration (MBA) from the University of Findlay in 2015 and is also a QuickBooks ProAdvisor® Program Member. He is a member of the Ohio Society of Certified Public Accountants. Sharon has been with the firm since 2000. Her primary responsibilities include planning and managing reviews and compilations including preparation of financial statements, tax returns and adjustment of client books. After graduating in 1979 from Miami (OH) University with a Bachelor of Science in Business Administration in Accounting, she began in the profession as an Assistant Controller at Brown’s Bakery, Inc. and as a Staff Accountant at local accounting firms. Sharon is a member of the American Institute of Certified Public Accountants and the Ohio Society of Certified Public Accountants. Angela has been with the firm since 2015. Her primary responsibilities include payroll, assisting with audits of non-profits and retirement plans, sales tax preparation, planning and managing compilations including preparation of financial statements, tax returns and adjustment of client books. Before joining Steyer & Co., CPAs, she performed payroll and accounting functions at a large trucking company, a broadcasting company, and a non-profit. 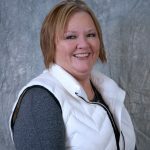 Angela holds a Bachelor of Arts in Business Administration in Accounting form The Defiance College (2015) and a Masters in Business Administration (MBA) in Accounting and Financial Management from Bluffton University (2017). She belongs to the American Institute of Certified Public Accountants and the Ohio Society of Certified Public Accountants and serves as the treasurer of Bridging the Gap Ministries. Joey has been with Steyer & Co., CPAs since 2017. 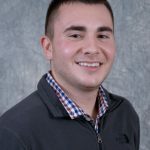 He joined the firm after receiving his Bachelor of Arts in Business Administration in Accounting from The Defiance College. His primary responsibilities include payroll, assisting with audits of non-profits, planning and managing compilations including preparation of financial statements, tax returns and adjustment of client books. Joey is a member of the Ohio Society of Certified Public Accountants. Joan has been with the firm since 2015. Her primary responsibilities include receptionist, filing and assembling corporate and personal tax returns, typing and assembling financial statements, and performing any other general office task. 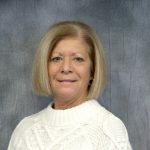 She is the friendly face and voice that greets you when you visit or call Steyer & Co., CPAs She has 20 years of various experience including switchboard operator, purchasing agent, receptionist, account executive, athletic director, and fitness instructor. Joan is Zumba and POUND certified as well as certified as a Group Fitness Instructor and CPR First Responder. She is a fitness instructor at the Fulton County Health Center and a member of the Archbold Evangelical Church. Joan and her husband of thirty plus years, Bob, are proud parents of two grown and married children and a 4-year-old Doodle. In her spare time, Joan teaches six fitness classes a week and travels with her husband, who is an avid runner and triathlete. They reside in Archbold, where Bob is the Village Engineer. 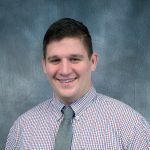 Brett has been an intern with Steyer & Co., CPAs since 2017. His primary responsibilities include preparing payroll and payroll taxes, business tax preparation, financial statement reporting, and other accounting duties. 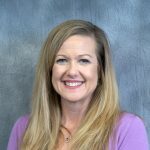 Jody has been with the firm since 2018. Her primary responsibilities include preparing payroll, payroll taxes, accounts receivable and accounts payable for a number of our clients and assisting with administrative tasks like answering phones and assisting clients when they stop in the office, filing and processing returns. She is also responsible for all of the internal bookkeeping functions of Steyer & Co.